The ink cartridge delivers consistent and accurately printed graphics with sharp lines. The optimised printing system provides precise lines, sharp details and rich colours. 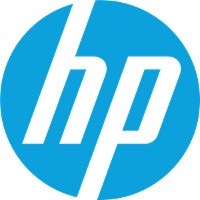 The original HP inks provide a unique combination of quality and durability. The inks are made in a classical size (38 ml) as well as a large size (80 ml). For shipping to other EU countries visit this page HP CZ129A No. 711. Chcete doručit zboží do Česka? Prohlédněte si HP CZ129A č. 711 černá. Chcete doručiť tovar na Slovensko? Prezrite si HP CZ129A č.711. Für Versand nach Österreich, besuchen Sie bitte HP CZ129A Nr. 711. Magyarországra történő kiszállításért tekintse meg ezt a termékoldalt: HP 711 (CZ129A).